The dial4light technology system has been implemented in the towns of Germany, and they have noticed a saving of 25% with this. [ad#ad-taalz-inpost-right]A town in Germany, Morgenröthe-Rautenkranz got this technology and now it is saving US$5300 anually. They say when dial4light was first implemented, people woke all night just to check this technology. 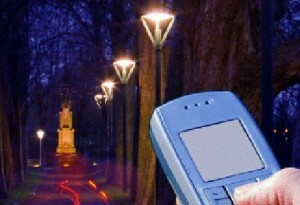 But later on people got use to this and now the street lights only go on when they are ‘requested’. If someone wants to switch on the lights he has to activate street lights, first he needs to get registered and then to dial a 6 digit number which is the area code. This technology is really a good step for power saving, but in my opinion it can only be used in small towns only. This service will now be implemented in other towns of Germany and other countries.